On Sept. 15, StarCycle Happy Valley's charity ride event raised over $3,000 for the Clackamas Emergency Services Foundation. The second-annual "Cycle Under the Stars" charity event at the Happy Valley Crossroads Shopping Center involved the indoor spin studio bringing its stationary bikes outside to ride under the light of the stars to raise money. 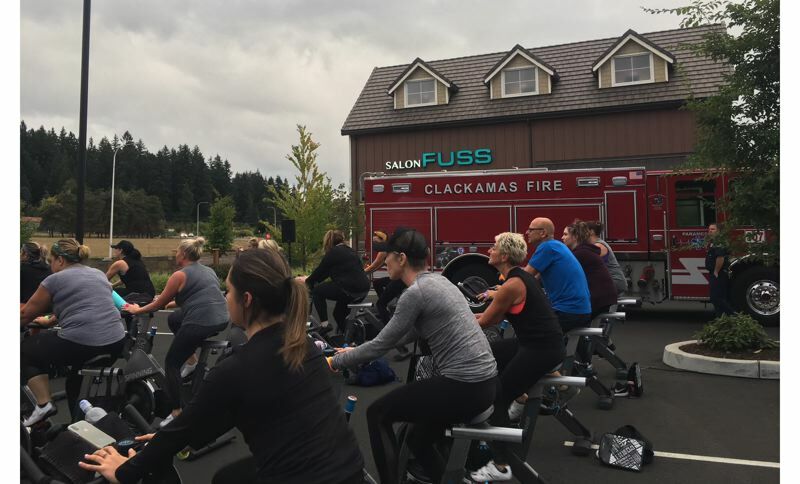 The city of Happy Valley again partnered with the fitness studio to rally for a cause, designating the Clackamas Emergency Services Foundation as this year's recipient. Riders donated $45 to ride an outdoor class at either 6:30 p.m. or 7:30 p.m., while others purchased raffle tickets to support the fundraiser. With 50 riders during the evening, StarCycle Happy Valley raised over $3,000. "This was our biggest event of the year," said Heather Hedges, co-owner of StarCycle Happy Valley. 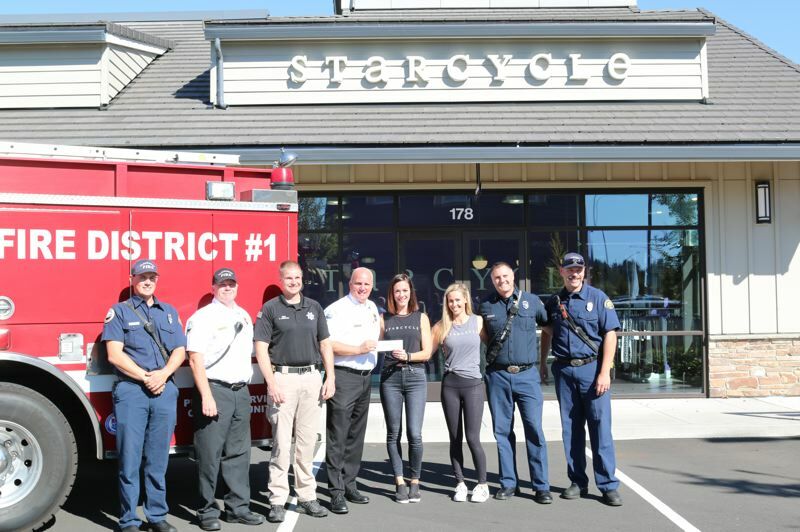 On Thursday, Sept. 27, StarCycle Happy Valley presented the check to Clackamas Fire District #1 Chief Fred Charlton, who accepted the check on behalf of the Clackamas Emergency Services Foundation. The Clackamas Emergency Services Foundation consists of emergency service agencies within Clackamas County and provides assistance to people who've been affected by disaster, tragedy, injury or other adversities. To learn more about the Clackamas Emergency Services Foundation or to make a donation, visit clackamasfire.com/emergency-services-foundation.